Public Liability Insurance is essential when booking a Toastmaster for your event. Never book a Toastmaster who cannot provide evidence of this. 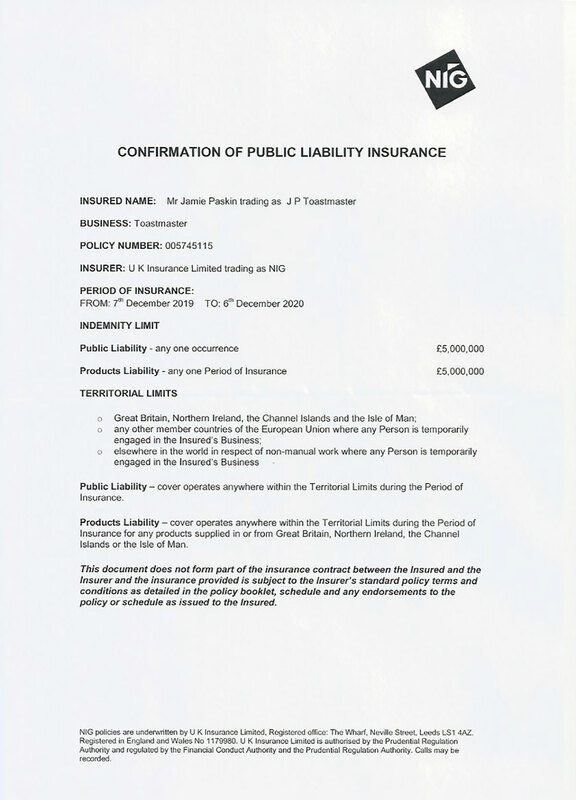 Jamie Paskin holds £5,000,000 Public Liability Insurance.